So you may be wondering, what is this Mori Girl style? Mori is the word for forest in Japan. 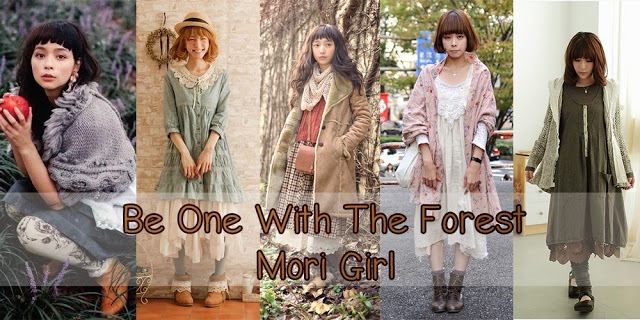 In essence, it is said Mori Girl is a girl who looks like she belongs in a forest. They often give off a gentle ambiance. 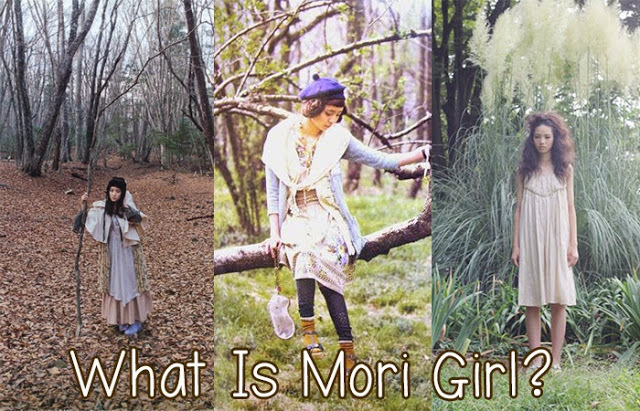 The term Mori Girl as it’s now known as popped up on Japanese social networking site, mixi. There was a Mori Girl community and the friend of the owner was quoted saying it was for those who have the image of suiting the forest. This community was started back in August of 2006. 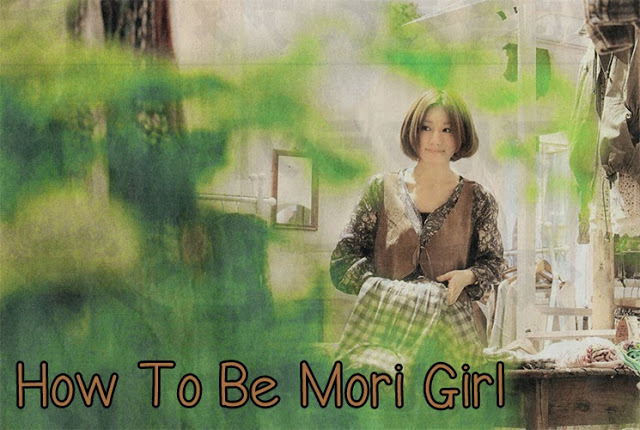 Then around 2008, the term Mori Girl became a hot topic. By June of 2009, the community had grown to 35,000 members strong. Around this time, it was hard to escape hearing about the interesting trend online, in magazines or even on tv. It went so far that fashion and lifestyle magazine spoon even put out an special edition book, Mori Girl A to Z. According to the spoon book, Mori girls love loose one pieces, cameras and craft. While their fashion icon has been identified to be model and designer MEG, and Sakai Keito. Magazines that adequately cover the Mori Girl style are spoon (obviously), FUDGE, valon, paiper* and Mori Girl Lesson. On the other side of Mori Girl is the Yama (mountain) Girl. These girls on the other hand love mountain climbing and usually wear the clothes that suits such a hobby. Do you have what it takes to be a Mori Girl?! Now you may be wonder, how do I become this Mori Girl. The good news for you, it’s not such a style that relies heavily on brand. One can easily become a Mori Girl in her own country. It’s easier to get into Mori Girl if you already fit the lifestyle/personality, that’s not to say there’s no way if you like partying and wrestling. Especially since I have definitely seen Mori Gyaru. But like I said, they usually give off the gentle and simple feel to them. And the general public (of Japan) have the characterised these young ladies. Usual activities include hobbies, drinking tea while reading a book. Or even making accessories for their newest coord. They have a very my-pace outlook on life. This is definitely not an akamoji-kei style or a style meant to impress guys. Now onto the clothes, which to me, is the identifying aspect of the Mori Girl. What makes Mori Girl is the layering. Layers upon layers, which I found something to be distinct in many Japanese fashion cultures. But yes, outfits are usually layered with ponchos, boleros, shawls. 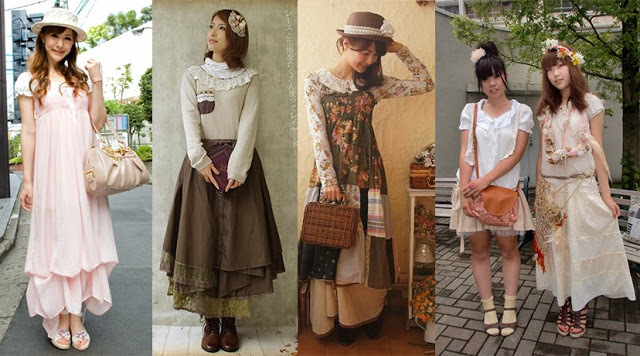 They usually wearing loose-fitting, long one-piece dresses or A-line skirts. Earth-tones play a big role in these outfits, so I’m talking, greens, burgundy, browns, deep blues, deep reds and tans. But white is also a go to color too, along with with floral prints and laces. They usually wear hand-crafted or vintage accessories; boots, tights and leggings. For colder seasons you can spot then in some fur and knitwear too. 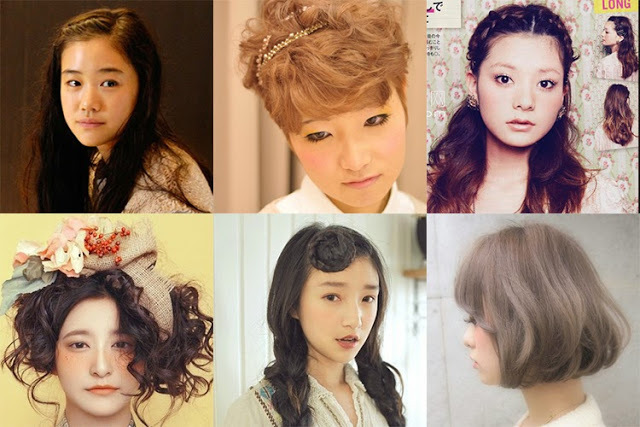 The hairstyles that seem to popular among them are wavy or airy styled. But I’ve seen all sorts of hairstyles. A lot of girls use lace and and ribbon to put up their. And it’s not uncommon for them to be sporting brown hair. I have to say that having make-up is not a defining aspect of Mori girl unless you’re going more to the gyaru side of this look. Regular Mori girls use very natural make-up. There is no emphasis on their eyes, instead they choose to play up their cheeks with blush. Everything else is usually understated. This is a really cute style, I would love to attempt it one day. However the Caribbean weather just does not permit it. There’s nothing cute about getting a heat stroke haha. Ah this style always looks so cute!! I love how flowy the outfits are and they give me this kind of little red riding hood kind of feel to them with a slightly more modern twist! I agree, it's probably not as suitable for super hot temperatures though, unless you layer much thinner pieces together. I love this style.. beautiful photos.. thanks..